The IOC decided not to resort to the toughest possible sanctions. 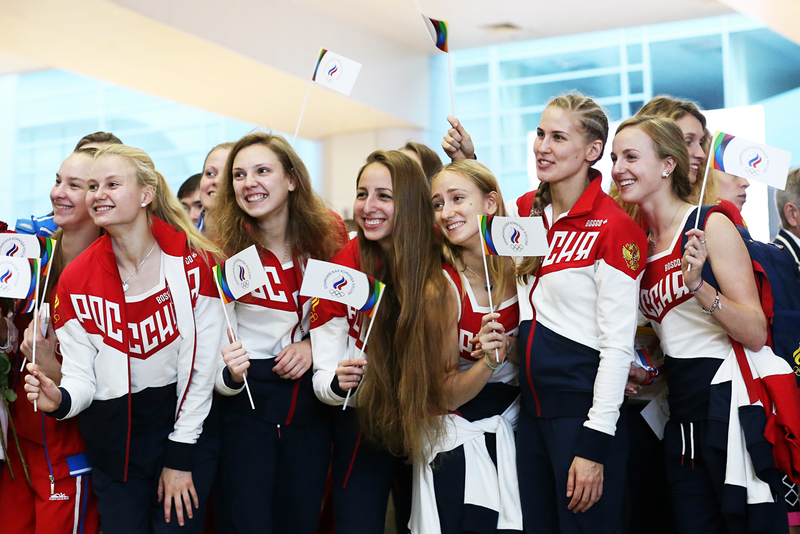 Photo: Members of the Russian synchronized swimming team at the Sheremetyevo International Airport ahead of leaving for the 2016 Summer Olympic Games. CAS rules that Russian athletes cannot be punished for the same doping offences twice. Late on the evening of August 4, the day before the official opening of the Olympic Games in Rio de Janeiro, the International Olympic Committee (IOC) approved the final list of Russian participants in the Olympic Games. A total of 271 athletes will be allowed to participate. The Russian national team has lost about a third of participants contained in the original bid submitted by the Russian Olympic Committee in late July 2016. That list featured 387 names. Russia had been in danger of being banned from competing in Rio altogether. After the publication of the report of the World Anti-Doping Agency’s (WADA) Independent Commission headed by Richard McLaren, which accused Russian officials of systemic doping machinations, the probability of a blanket ban was rather high. However, on July 24, the IOC decided not to resort to the toughest possible sanctions. At the same time, it advised the relevant international federations to ban those athletes that had earlier been disqualified for doping, as well as those mentioned in McLaren’s report. Ultimately, Russia got off rather lightly. It suffered its biggest losses in track and field – where only one athlete, long jumper Darya Klishina, will represent Russia – and in weightlifting, where Russia will have no competitors. The ranks of Russian rowers and canoeists have been severely depleted as well. However, for some other participants things are looking up. Swimmers Vladimir Morozov and Nikita Lobintsev received permission to participate in the Olympics practically at the very last moment before they begin. First, the International Swimming Federation (FINA) banned them from the Games because they were mentioned in the WADA report, although the latter contained no evidence that they had actually been engaged in doping. These two 2012 Olympic bronze medalists successfully contested their ban at the Court of Arbitration for Sport (CAS) and were officially cleared to compete in the Rio games by the special three-person IOC commission that was specifically set up to consider the cases of banned Russian athletes. In the very near future, maybe even shortly after the official opening of the Games, the Russian team may be joined by a few more athletes. It is very likely that the current 100-meter breaststroke world champion, Yulia Efimova, might be allowed to compete in Rio after all. She has won an appeal at the CAS against the FINA decision to ban her from the Games because of her past doping. The court ruled that athletes could not be punished twice for the same doping offence. Earlier CAS, which has set up two branches in Rio, passed a similar ruling on the rowers Ivan Podshivalov and Anastasia Karabelshchikova. The two are currently awaiting the verdict of the IOC special commission. The Efimova precedent gives hope to other Russian athletes who have been banned for previous disqualifications. These include the wrestling world champion Viktor Lebedev and the recent winner of a stage of the Tour de France, Ilnur Zakarin. "There's now potentially a way to get through," CAS Secretary-General Matthieu Reeb told Reuters.